Domaine les Mûriers in Vendres Plage - the best offers! This price applies to 4-person mobile home/caravan Deluxe, with the arrival as 27 April 2019, 2 Nights. This price applies to 4-person mobile home/caravan Cottage VIP - PMR, with the arrival as 17 May 2019, 3 Nights. 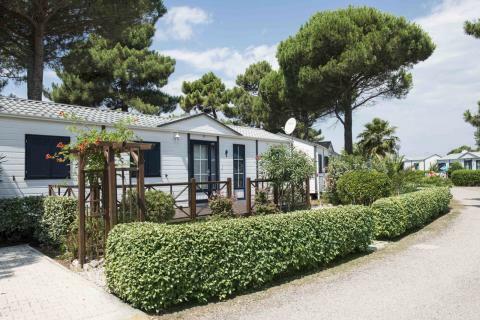 This price applies to 5-person mobile home/caravan Clim, with the arrival as 11 May 2019, 7 Nights. 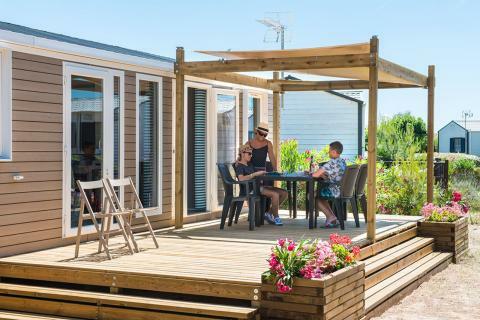 This price applies to 6-person mobile home/caravan Deluxe, with the arrival as 1 June 2019, 7 Nights. This price applies to 4-person mobile home/caravan Cottage VIP, with the arrival as 1 June 2019, 7 Nights. 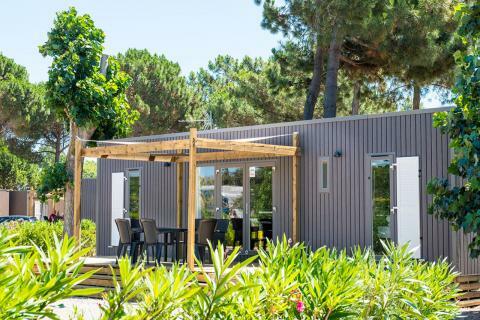 This price applies to 6-person mobile home/caravan Cottage VIP, with the arrival as 1 June 2019, 7 Nights. 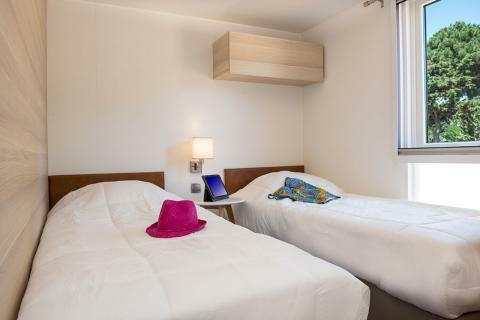 The park requires a deposit of €300 per accommodation. This can only be paid with a credit card. Animation activities only take place during the summer period. There is one free parking space available at each accommodation. For each extra car you pay €3,- each day. The breadservice, bar, lounge and mini market are only opened from June untill mid September.